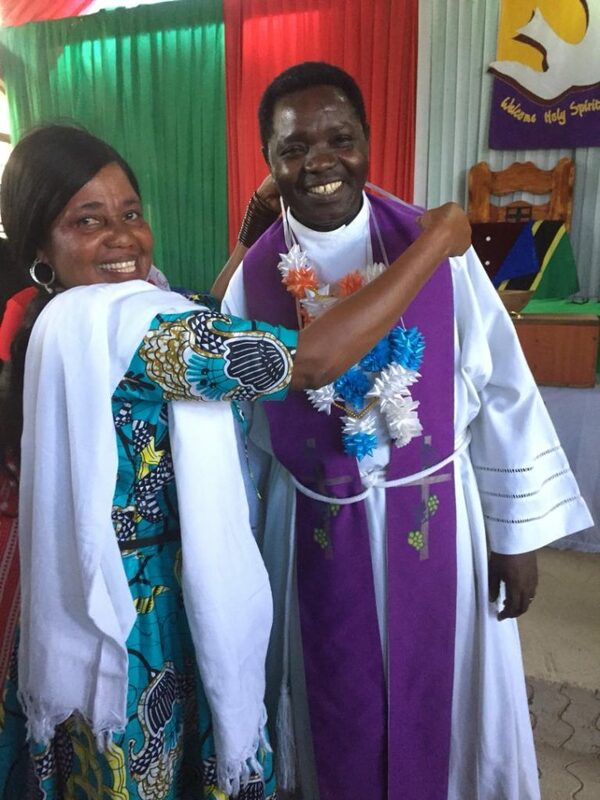 Rev Gadlord Deuli is both the Busega Scotland Project Leader in Tanzania and a pastor in the Charismatic Episcopal Church. 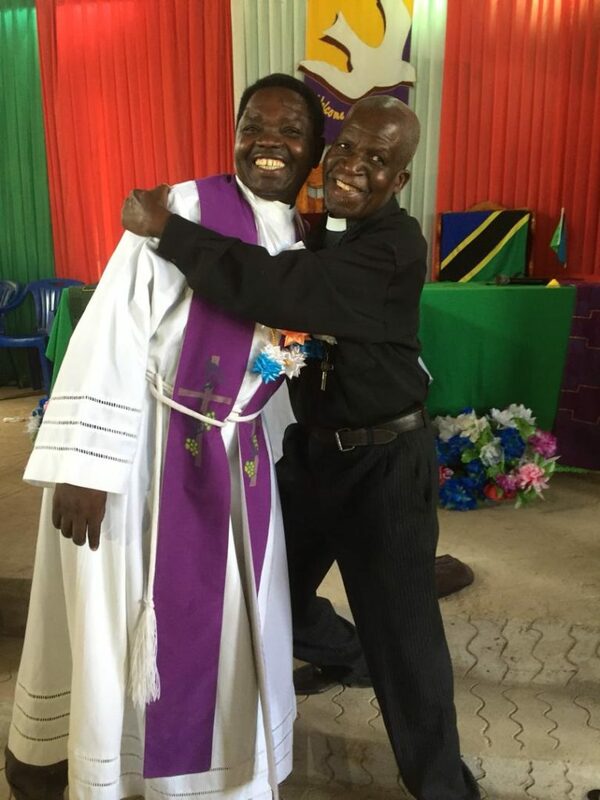 He is responsible for the Holy Trinity parish in the city of Mwanza and is the Area Dean, supervising four other parishes within the Mwanza Diocese. 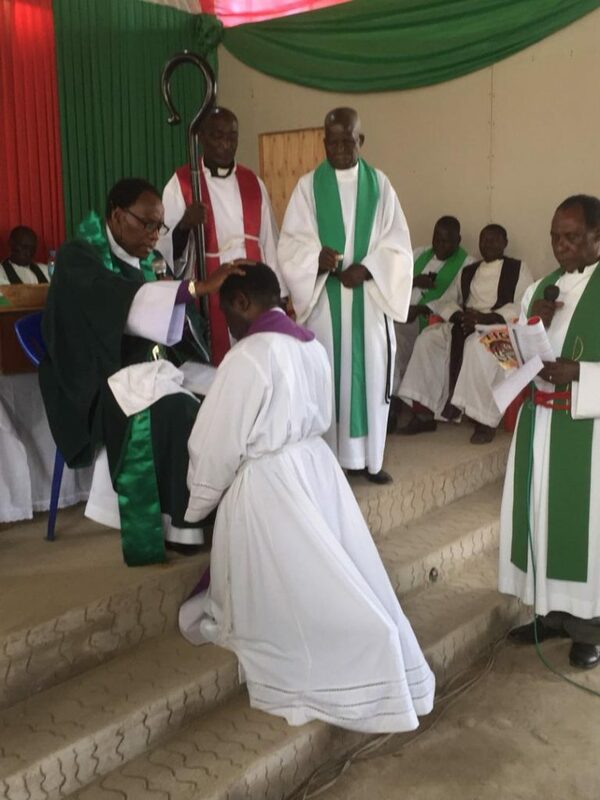 These duties are very demanding and Rev Deuli divides his time effectively between Busega Scotland and church duties. He is Christine and John’s major contact for communication between Scotland and Tanzania, and this is one of the main reasons why our organisation is so productive in its various projects. Pastor’s knowledge, skills and experience are crucial to the work that is undertaken on the ground. On 30th September, Rev Deuli received a major ecclesiastical honour by being made a Canon. This is an honorary title given in recognition of long and dedicated service to the diocese. The photographs show the honour being bestowed, Mr and Mrs Deuli at the resulting celebrations and Canon Deuli with his great friend and spiritual mentor, Canon Andrew Mohamed. Busega Scotland sends its congratulations and best wishes.